Successfully Added Car DVD Player With Color LCD - USB + SD Reader to your Shopping Cart. 1-DIN In-Dash Car CD/DVD Player and Radio with color LCD display and two front ports for USB connection and a flash memory card (MMC/SD Card). This wholesale deal car DVD player is ready right out of the box for region free DVDs, DVD-R, CD, VCD, MP3, and CD-R. Another added bonus is the built in DVD / CD changer control interface, ready to be used with a CDC changer. 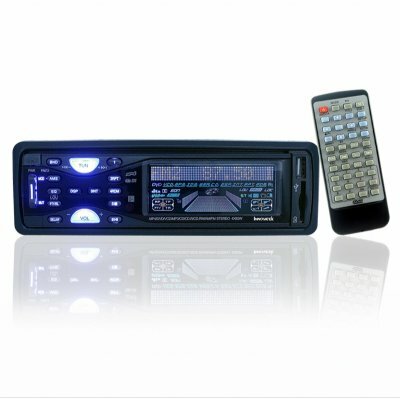 Pair this car audio and video player with a high quality LCD screen and have fun on your long cat trips at a low Chinavasion wholesale price.